Welcome to our Women's Health Clinic! ARE YOU looking for Pregnancy Physiotherapy for Pelvic Pain, preparing for childbirth with Pregnancy Pilates or recovering from pregnancy with Postnatal Pilates taught by a Chartered Physiotherapist in Dublin? DO YOU suffer from Lymphoedema as a result of a post-cancer surgery or have Urinary Incontinence due to weak pelvic floor? Then...Physiofit Woman is the one-stop Women's Health Clinic for you and your health and well-being! Women's Health Services is an area in demand in Dublin and Ireland and PhysioFit Woman is proud to be a pioneer and a visionary in its approach. With outstanding customer service and a highly trained team of Physiotherapist, Massage Therapists and Pilates Instructors, PhysioFit Woman Women's Health Clinic offers a unique service to all areas and stages of a woman's life. From adolescence to menopause, from sport injury to childbirth, PhysioFit Woman Women's Health Clinic provides an innovative concept to help women achieve better health and well-being. I initially had a pregnancy massage twice weekly to target the pain and then we eased off to once a week and then once every few weeks. The pregnancy massage benefits were visible straight away. I Loved it So Much that I Kept Booking Sessions! On my second pregnancy I developed Pelvic Girdle Pain (PGP) and as part of my maintenance programme Deborah my Physiotherapist, recommended a pregnancy massage. 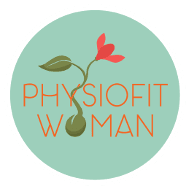 I arrived in Physiofit Woman last February, bent, broken and wincing in pain. I attend physiotherapy and Pilates classes with Deborah and I am a changed woman as a result! I was 20 weeks pregnant when I started to experience what I know now to be PGP. However back then I did not know what it was called. I can’t thank them enough!! 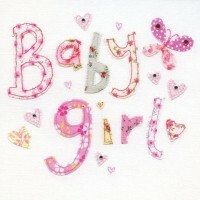 Deborah and the team helped me through 2 pregnancies. I had very bad back and hip pain with both but with their help I was able to keep mobile throughout. Loved it all! Baby Massage Classes had a relaxing atmosphere allowing us to interact with babies and other mums. I really enjoyed the classes! He loved the baby massage sessions and in particular the baby massage for colics. The best thing was learning the different strokes and seeing how much my baby enjoyed them. I liked the fact that it was a small group easy to interact and the course was delivered in a relaxed approach. My baby really enjoyed it. The demonstrations were really clear and the hand-outs were very helpful to remind all the baby massage strokes from each class. I consent to having Physiofit Woman collect my details via this form for bookings and general enquiries purposes.